We all know that adsense is the best contextual ad serving network. But they have a strict program policy for every publishers. It is important to follow their guidelines for stay in adsense program as a publisher. Formally There was a limitation of 3 ad units per page for everyone and premium partners were had the permission of serving maximum of 6 ad units. 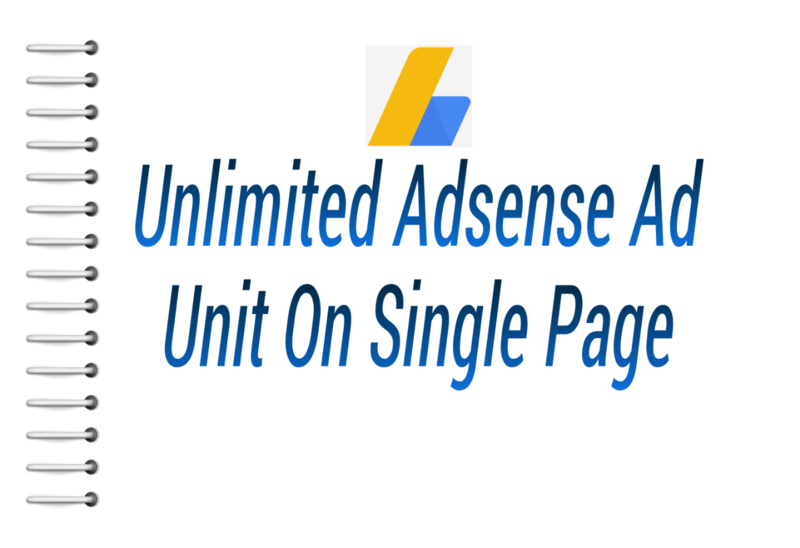 In August 2016 adsense lifted all restrictions on serving limited ad units for everyone. That means now we can serve as many as ad unit we wants to. But always keep in mind that you shouldn’t exceed your content while placing ad units. Means the ratio of content vs ads shouldn’t equal, you have to have more contents than ads. Adsense provides 3 type of ads, they are Adsense Content unit, Adsense Link unit and Adsense for search. Banners are always converting well. Placing this type of ads in above the fold can boost up your adsense earning twice. Personally I recommend the 300*250 and 160*600 ad sizes, for me they performed well then other sizes of ads. Adsense link unit performed well when it placed into the perfect place in content. On the other hand, instead of inlining adsense link unit into the content, you may put it in above the fold or in your blogs navbar. You can get more informations about adsense link units here. If you have a big blog with large amount of contents then adsense for search can help you monetize the traffic who’s gonna made some search in your blog. If you haven’t set up adsense for search yet, this guide by shoutmeloud can help you. Do you use adsense in your blog? If yes then share your experience with me into the comment section below.